I would like to learn more about 135 William Fair Dr.
Bowmanville is the largest community in the Municipality of Clarington in Durham Region, Ontario, Canada. It is located in Southern Ontario about 75 km east of Toronto and 15 km east of Oshawa along Highway 2. Prime 55 Acres In Clarington. 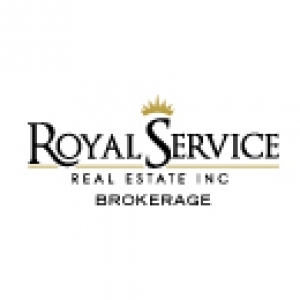 Minutes From Downtown Bomanville Commercial And Residential Sites And The 401. 55.3 Acres Mixed Between Vegetation And Devoid Of Vegetation. Great For A New Build Or Investment. Turn Key Operation. Established And Busy Full Serve Gas Station With Kiosk. Profitable And Low Rent, Be Your Own Boss. Good Neighbourhood. This Beautiful 3 Bedroom Home Is Turn Key And Features Hardwood Flooring, Engineered Hardwood, Finished Basement, Stainless Steel Appliances And A Side Entrance To The Garage/Man Cave. The Furnace And Air Conditioner Were Replaced In 2014. Walk Out To Back Deck, Good Sized Backyard Has An Above Ground Pool That Can Stay Or Go. Owner Retiring !!! More Than 10 Years Reputable Restaurant, Very Steady Clientele. This Is Great Opportunity To Own A Turn Key Business In The Heart Of Bowmanville. Training Can Be Provided By The Owner. When a friend found out that my wife and I were starting looking for a house, he quickly recommended that we talk to Tyler. Tyler did a fantastic job not only helping us find a house, but also in the negotiation process. We also found him to be very honest with his opinions and did a great job in guiding us towards the best possible property that suited our needs. We would not hesitate to recommend him to our friends and family.